Posted on January 30, 2019 | 1550 views | Topic : Home & Living. The time of fireworks, acrobatic lions, and thundering drums has arrived once again – and here’s how you should be decorating for the season. There may be some stark spaces after the spring cleaning that typically occurs in the lead-up to Chinese New Year (this should get you started) – but even a modern home can be made ready for the Spring Festival with the addition of a few key decorative features. Besides being one of the first hues of the visible colour spectrum mastered by ancient humans, the colour red has held a significance stretching back a quarter of a million years into prehistory. In Chinese folklore, the colour red was apparently one of many components used in a bid to deter the Nian (年兽) – a mythical beast that came out of the wild to feed on people and terrorise villages every year. While the exact symbolism of the colour red may be obscured in the fog of time, it is used consistently at celebrations during this time of year. 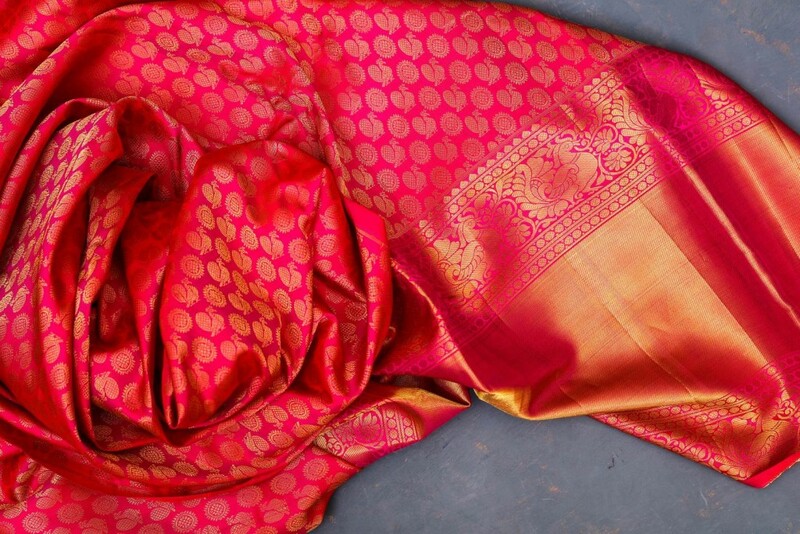 One of the easiest ways to get a home ready for the Spring Festival is to incorporate red into the decor with fabrics in the form of tablecloths or throw blankets. To prepare the home for the obligatory feast, lay a generous length of red cloth over a dining table or kitchen island – or simply drape a piece of red fabric over the sofa for a symbolic element of comfort. Fire was said to be one of the other things that the Nian feared, so people hang red paper lanterns around the home in accordance with tradition. As a bonus, the lanterns remain relevant even after the 16 days of the Spring Festival, when the Lantern Festival begins. 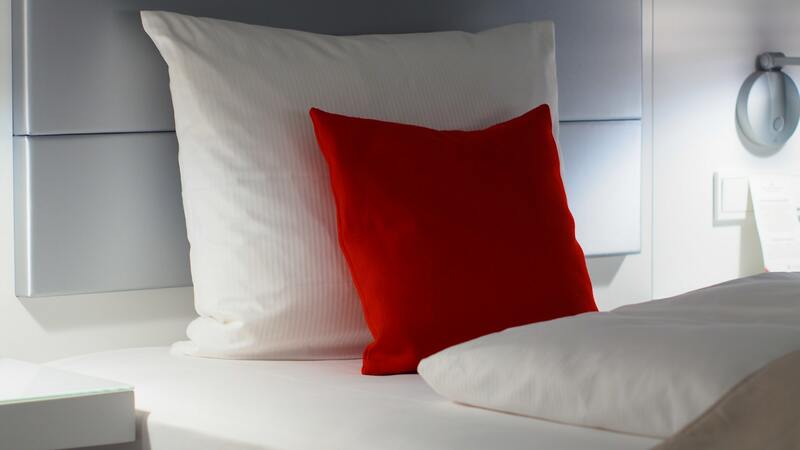 The effect can be similarly achieved with red candles or lampshades where a swarm of red paper lanterns may be overwhelming in a modern home. 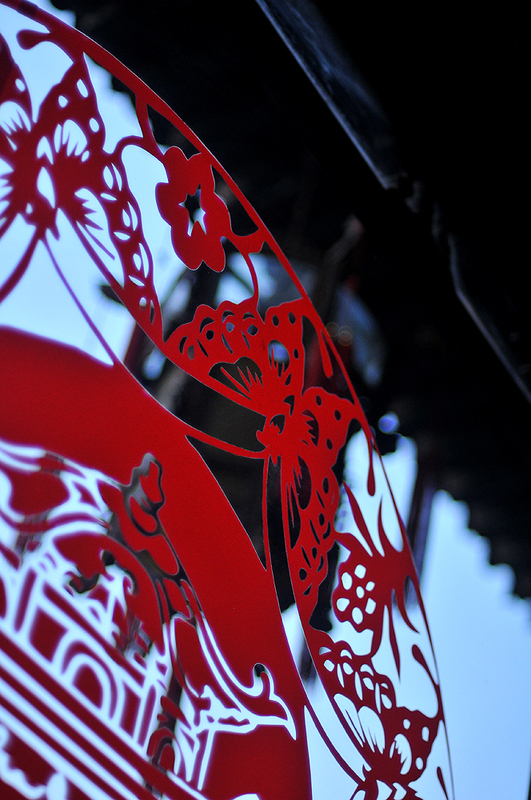 As one of the oldest forms of Chinese folk art, paper cuttings (剪纸) are almost as synonymous with the Spring Festival as paper lanterns and the colour red. The often intricate paper cuttings are used to decorate window panes, with the negative spaces of the cutouts ranging from depicting single-character Chinese words to whole provincial scenes. 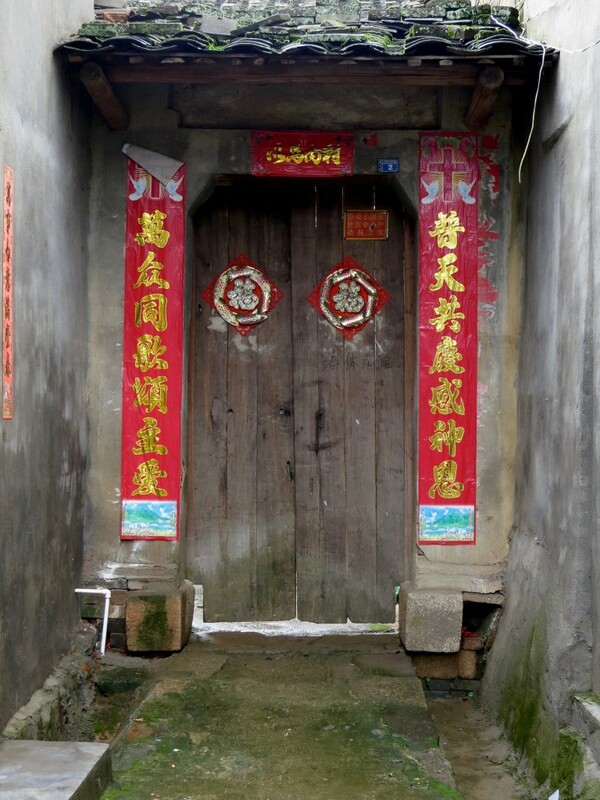 Going further into more complicated territory, door couplets (对联) – a pair of hanging scrolls containing lines of poetry – are generally used as decoration during the spring festival and speak of an impressive adherence to tradition. There are stringent rules governing the type and tone of characters, in addition to their composition, so caution should be exercised when using this form of decoration without understanding the underlying rules – or at least trust in the expertise of the source. A more implicit decorative feature of the Spring Festival is the use of round banquet tables equipped with rotating trays during the inevitable reunion dinners. 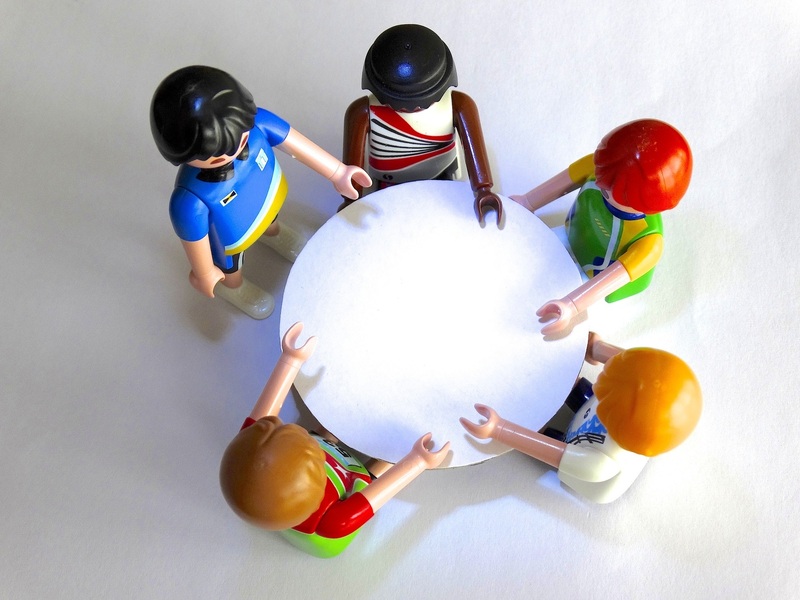 Round tables generally seat more people for the same amount of elbow room as compared to square tables – and they make for more equitable access to the dishes placed at the centre. 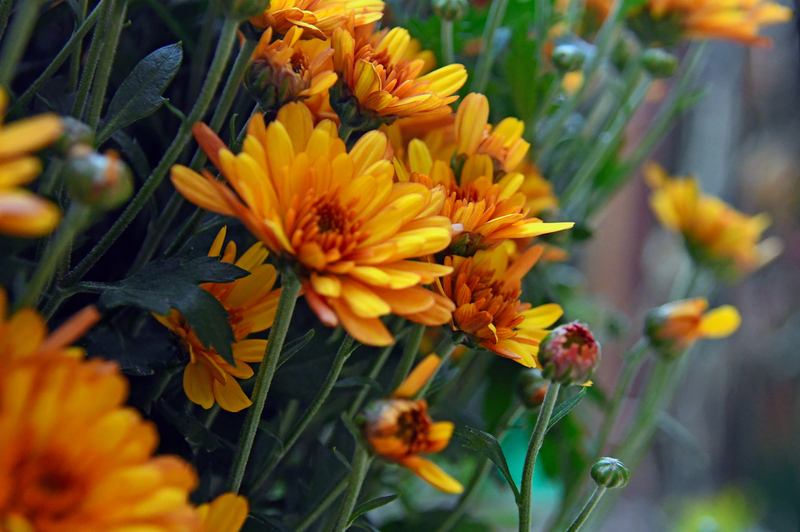 Chrysanthemums, especially the golden yellow variety, represent wealth and prosperity. As we’ve mentioned before, plants are relatively inexpensive gifts and uplifting organic decorations – in addition to being highly appropriate for the Spring Festival. A wide range of plants make for seasonally relevant gifts and decorations – perennials, flowers, or even stalks of bamboo would not be out of place in the home during Chinese New Year. 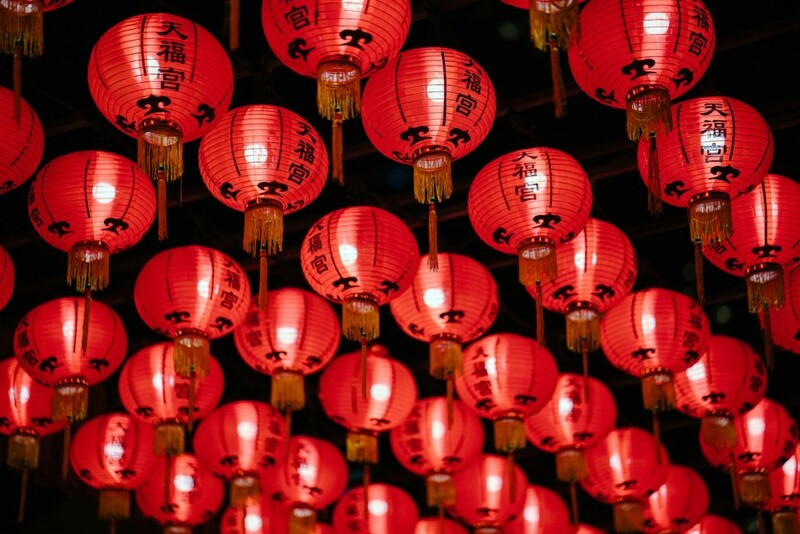 If you’ve ever wondered about the reasons behind certain CNY decorations, you could find out here.